We convey our deepest condolence on the demise of Com. George Fernandez, the dare devil fire brand hero of Indian politics. He expired on 29-1-2019, at the age of 88. Com. George was a leader rose from the dust. He slept in the pavements of Mumbai city. He worked in hotels and in printing press for livelihood. He organized the taxi workers of Mumbai. The man from Mangalore in Karnataka won elections from Mumbai and then from Bihar. 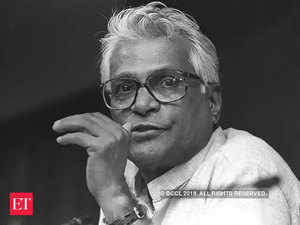 He was the hero of 20 days strike of Railwaymen in 1974. I regret to observe that even railway comrades forgot him. George Fernandez was unpredictable, some times. But he created and occupied a space himself in the political arena of India. Minister George Fernandez was a minister entirely different from other traditional ‘manthris’ of Delhi. I had opportunity to meet him several times in his official residence at 3, Krishna Menon Marg, New Delhi. Minister George occupied a small room and left the rest of that bungalow as an Open House for visitors from anywhere in the country. The compound looked like a dharamsala. He is no more. We salute Com. George Fernandez. 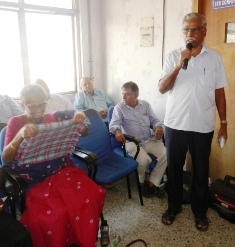 WE ARE HAPPY TO INFORM THAT THE DOT-BSNL PENSIONERS ASSOCIATION, KERALA HAS DECIDED TO JOIN THE UNITED MOVEMENT OF BSNL/MTNL PENSIONERS,- CBMPA. THE SAID ASSOCIATION, IN ITS MEETING HELD AT TRIVANDRUM ON 24-1-2019, TOOK A DECISION IN THIS REGARD. Yesterday, 23-1-2019, the Shimla Bench of CAT Chandigarh has given a good judgement. It says DCRG, Leave encashment, Commutation etc should be granted based on revised pay with 78.2% IDA with effect from 1-1-2007. With regard to pay arrears from 1-1-2007 up to the date of retirement, the Judgement is disappointing. We hope that the concerned pensioners who approached the court will go for further remedial action. Com. M K Bagchi, Com. Anupam Kaul and Com. 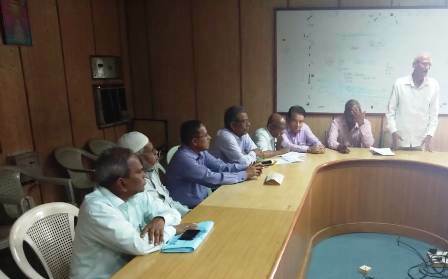 S S Nanda, the members of the Committee of BSNL/MTNL Pensioners” Associations (CBMPA) today (15-01-2019) met top officers in Department of Pension & Pensioners’ Welfare and discussed about the issue of pension revision. 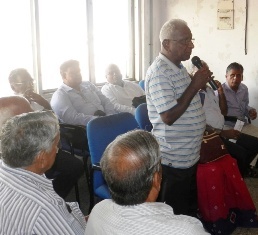 They were informed that DoT did not clarify the issues sought for earlier by DoP&PW.DoT should have sent a clear proposal for pension revision if pension revision is delinked from pay revision.But they have not sent that kind of a proposal.So once again they have asked the DoT to send a concrete proposal. Our representatives gained the impression that DoP&PW officers are very much aware of the issue involved. Our representatives clarified certain doubts also.It is understood that if DoP&PW gets a proper proposal with due justification from DoT it may be favourably considered by them and the views of DoE also should be sought. 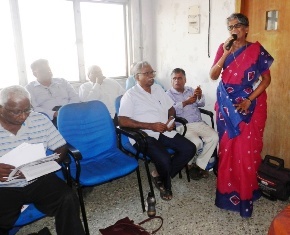 Chennai STR branch held its monthly meeting on 8-1-2019. CHQ Leaders Com. 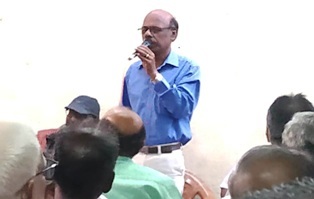 K. Muthiyalu, Com. A. Sugumaran, Com. 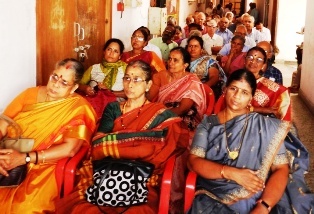 Ratna and others addressed the meeting. 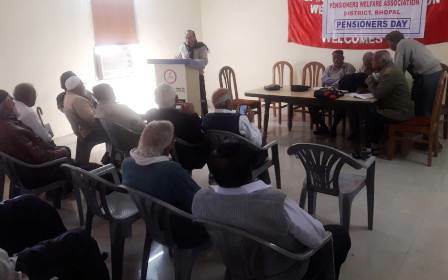 Ratlam branch in MP conducted the Pensioners Day on 6-1-2019. 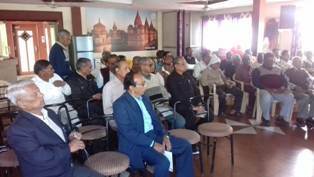 About 100 members particiapated. Com. M C Sharma (CS MP), Com. 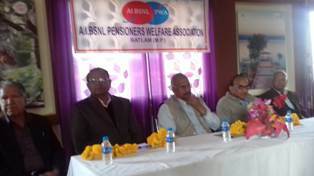 M Prajapati, Com. 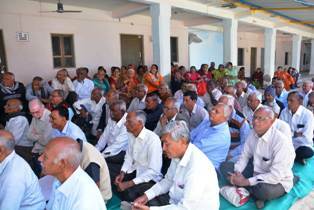 V R Sonaparkr and others addressed. On 4-1-2019, a new branch is opened at Gadag, Karnataka. 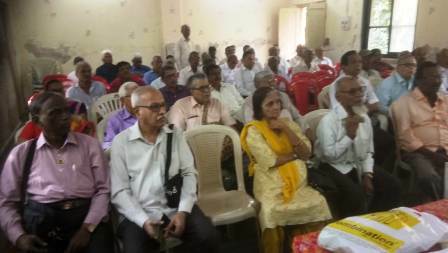 Comrades S T Pawar (DS Hubli), V M Kanakeri and others attended on behalf of the circle association and addressed the meeting. 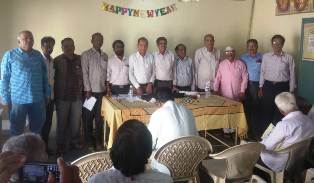 Comrades K Sukand, I I Jirankal and J I Dharwad are elected as the President, Secretary and Treasurer of the new branch. 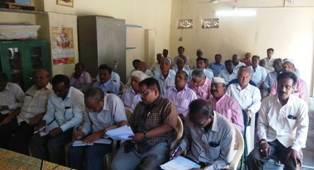 CHQ welcomes the new branch and comrades of Gadag. SEND REMINDERS AND REMAIN COOL? STRANGE is the way of BSNL Management. Some people (mainly Executives) got their promotion immediately after the date of formation of BSNL, 1-10-2000. Some of them were permitted to switch over to IDA pay scales from the date of their promotion. That too after legal fight. Then the question came how their pay should be fixed.DOT asked BSNL to furnish details. All letters and reminders were URGENT. Even after 15 letters, 25 Circles have not furnished the data to Corporate Office. Corporate Office remains cool after sending reminders after reminders. This is the way the BSNL management honours Court verdicts. Just compare this with our experience in Dept of Telecom some 30-35 years ago. DPE order raising the IDA rate to 138.8% with effect from 1-1-2019 is given below. The Labour Bureau of India has released All India Consumer Price Index (AICPI) for Industrial workers for the month of November 2018.It is 302 Points. Based on that the IDA shall be 138.8% from January 2019.An increase of 3.2% from the existing 135.6%. Though not surprising to me, it is a matter of regret to note that DoT is taking the very same negative attitude towards the absorbed BSNL employees and pensioners. 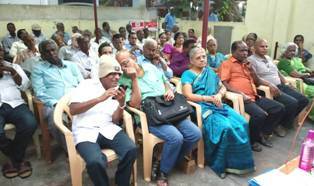 Some officersin Sanchar Bhavan have a wrong notion that BSNL staff and retirees get higher Pay and Pension than their counter-parts in central services with same length of service. The fact is that whatever the benefit derived from corporatization in 2000 has disappeared soon by way of reduced quantum of dearness allowance all these 18 years. 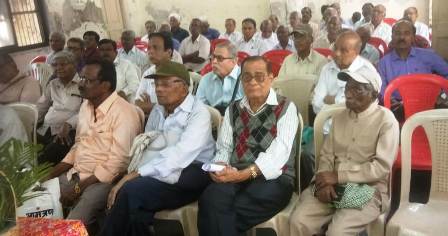 Central Govt pensioners got 50% DA merged from April 2004; BSNL Pensioners got that benefit only from 10-6-2013. 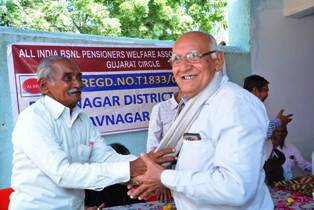 Central Govt pensioners got pension revision from January 2006; BSNL Pensioners got pension revision from January 2007. Central govt. 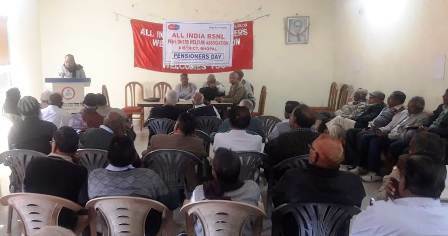 pensioners got pension revision again from 2016; BSNL pensioners are still waiting for it. 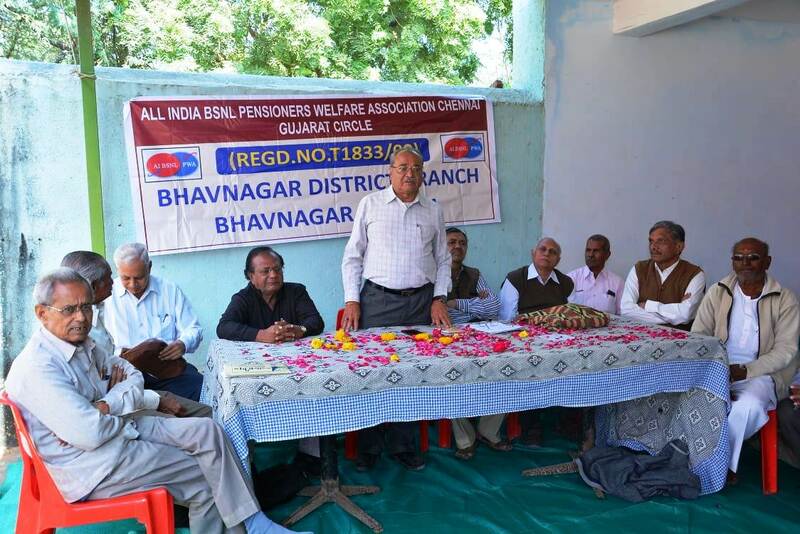 Central Govt pensioners got the benefit of Third option with concordance Table; BSNL pensioners are denied that . All benefits from corporatization have disappeared in the thin air. 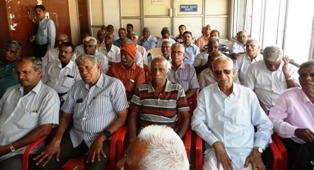 Amount drawn as pay or pension cannot be basis for taking policy decisions on revision.A DDG is getting higher Pay than his Director or AGM.Does it mean that DDG should not get pay revision?A retired DDG is getting higher amount as pension than those retired as Director or AGM.Should that retired DDG not get pension revision? Anybody should get the pay revision or pension revision as per the rule of the land. There are judgements from the Apex Court. 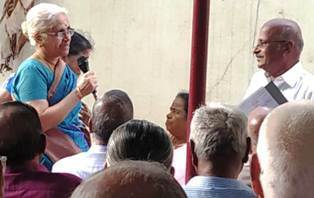 Few weeks back one Director in Sanchar Bhavan wrote a letter asking CMD BSNL to tell how BSNL is going to raise funds to meet the expenses for pay revision.When brought the matter to notice of the Secretary Telecom, it was propagated that “madam was angry over it and fired the Director and the letter would be withdrawn”. Nothing was withdrawn. Now, a much worse letter is gone from Sanchar Bhavan to CMD BSNL. With whose permission such letters are going? Who takes decisions on such important matters? It is high time for the Minister to intervene. Minister should not allow any particular officer in his ministry spoil the future of lakhs of people serving and retired. 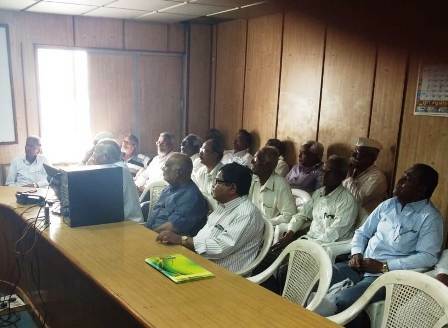 BSNL staff unions and Pensioners organizations should come out of any illusion about ‘noble hearts’ in Sanchar Bhavan .